SCOTTSDALE, Arizona — Police are confirming that multiple deadly shootings that occurred in Phoenix and Scottsdale over the past two days are related — including the murder of prominent forensic psychiatrist Steven Pitt at his Phoenix office and a double shooting at a law office near Old Town Scottsdale. On Thursday evening, police were called to an office complex near 71st Street and Bell Road and found a 59-year-old "critically wounded." The victim, later identified as Steven Pitt, died of his injuries . 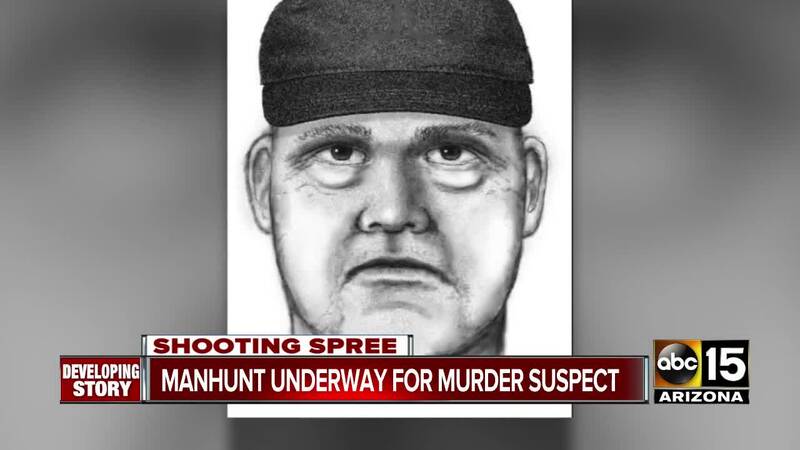 The suspect left the scene of the shooting involving Pitt and an arrest has not been made, however, officials have released a sketch of the suspect. 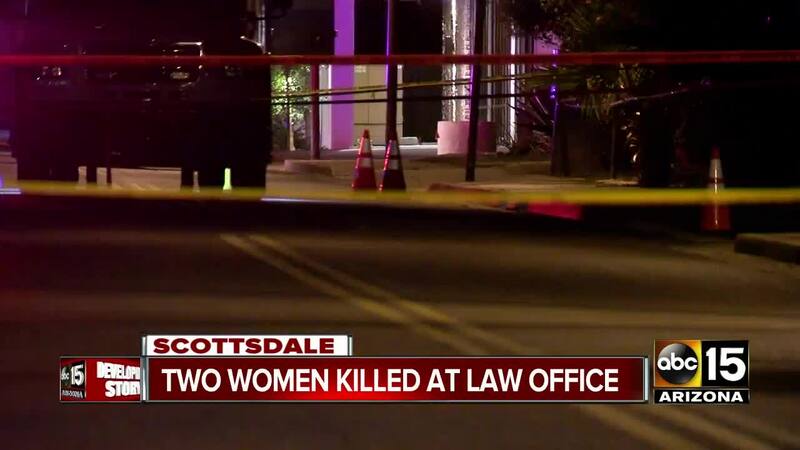 A day later, officers responded to the law firm Burt, Feldman, Grenier in Scottsdale at 1st and 75th streets near Civic Center Library after receiving reports of a double shooting. Officials say 48-year-old Veleria Sharp and 49-year-old Laura Anderson were both shot and died of their injuries. When officers first arrived at that scene, a woman who had been shot in the head ran outside an told a limo bus driver to call 911. She later died of her injuries at the hospital, authorities said. The second woman was found dead inside the law office, police said. Both women were paralegals for the law office. As of Friday, no arrests were made in connection with the shooting, however, detectives reportedly said they have an idea of who the shooter is but are not releasing a name at this time. Elizabeth, Sandra and Marykay are shocked and deeply saddened by the horrific events that transpired Friday. Laura has worked with us as family for more than ten years. Her intellect, passion and friendship has meant more to us than we can even begin to convey. She was more than a coworker, she was a friend, a mother, grandmother, daughter and wife and gave all of herself to her family, her friends and her work. Veleria was a treasured member of our work family. She brought joy, calmness, warmth and compassion to all that she did. She was a dedicated mother, wife and daughter. She and her family shared a deep passion for music and their faith. Our hearts are heavy for their families at this time. We are assisting the Scottsdale Police Department as they work to solve this horrible murder. We thank everyone for their concern and ask that you give us and their families privacy as we mourn these losses. 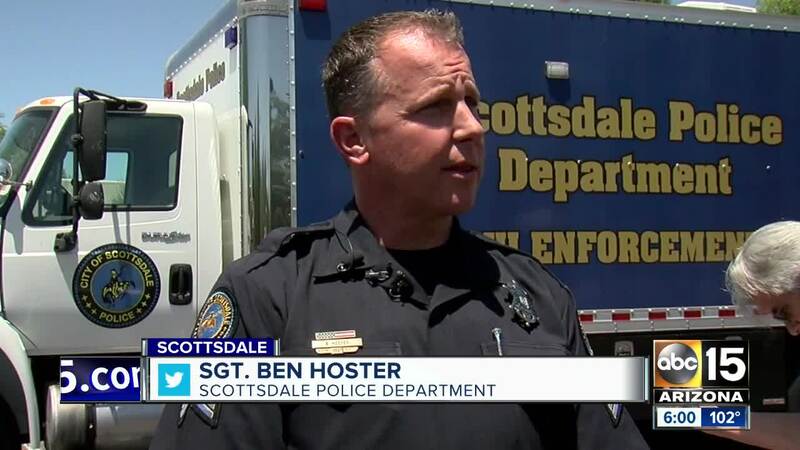 On Saturday, police responded to an office complex near in Scottsdale Mountain View and Hayden roads after receiving reports of a homicide. 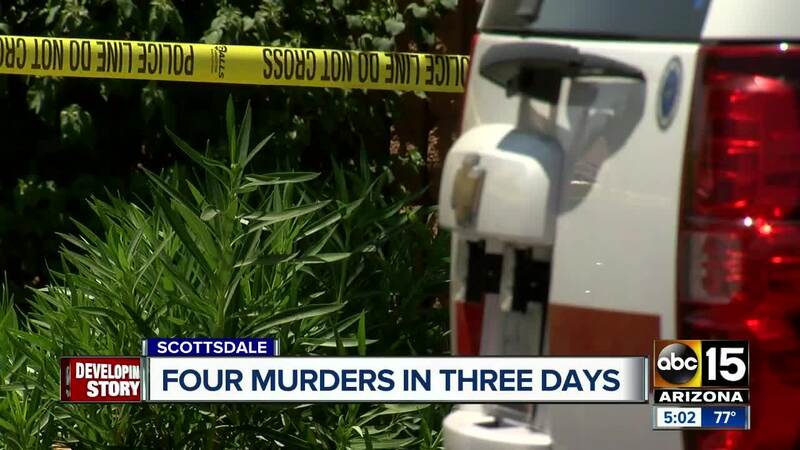 As of Saturday night, Scottsdale Police said they are not officially tying the most recent homicide to the other three investigations, but a source tells ABC15 News that the four deaths are connected. KNXV in Phoeniz at the scene confirmed there is at least one victim, however, no information surrounding that person's death has been released. A co-worker of the latest victim, Karen Kolbe, identified the man as Dr. Marshall Levine. Officials have not yet confirmed the latest victim's identity, but it's believed the incident happened in Levine's office just after 12 a.m. Saturday. Levine was a life coach and hypnotherapist. A Phoenix police spokesperson says both the Phoenix and Scottsdale police departments will be "working closely" on these investigations moving forward but did not provide any new details. "Right now we are doing our best to locate this suspect and get him off the street," a Scottsdale police spokesman said. Anyone with information regarding the deaths of Pitt, Sharp or Anderson is urged to call Silent Witness at 480-WITNESS. Authorities on Saturday increased the reward for this case up to $11,000 leading to an arrest. An additional reward of $10,000 may be earned after a conviction courtesy of the ATF, which brings the potential reward up to $21,000. Callers may remain anonymous. "We're asking the public to remain vigilant," a Scottsdale police spokesman said. "Any tips or other information that might be out of the ordinary...please call 911 so we can get that information and get working on those tips."